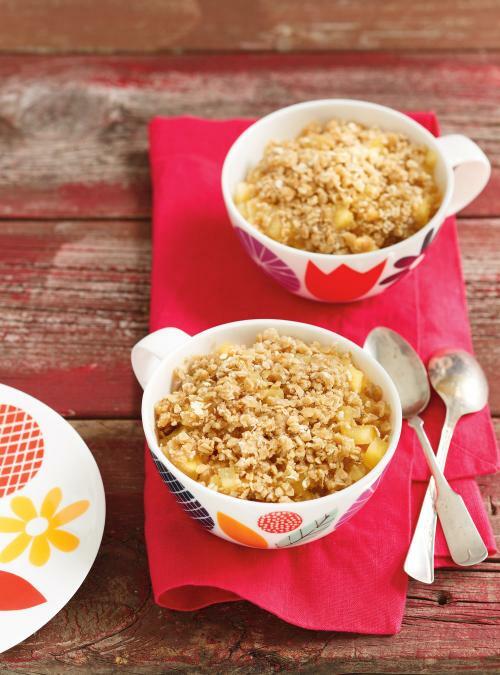 In a 1-cup (250 ml) mug, combine the apple and brown sugar. In a small bowl, combine the oats, brown sugar and flour. Add the butter and blend with your fingertips until the texture is crumbly. Sprinkle over the apple mixture. Cook in the microwave oven for 1 to 1 ½ minutes or until the juices are bubbling. 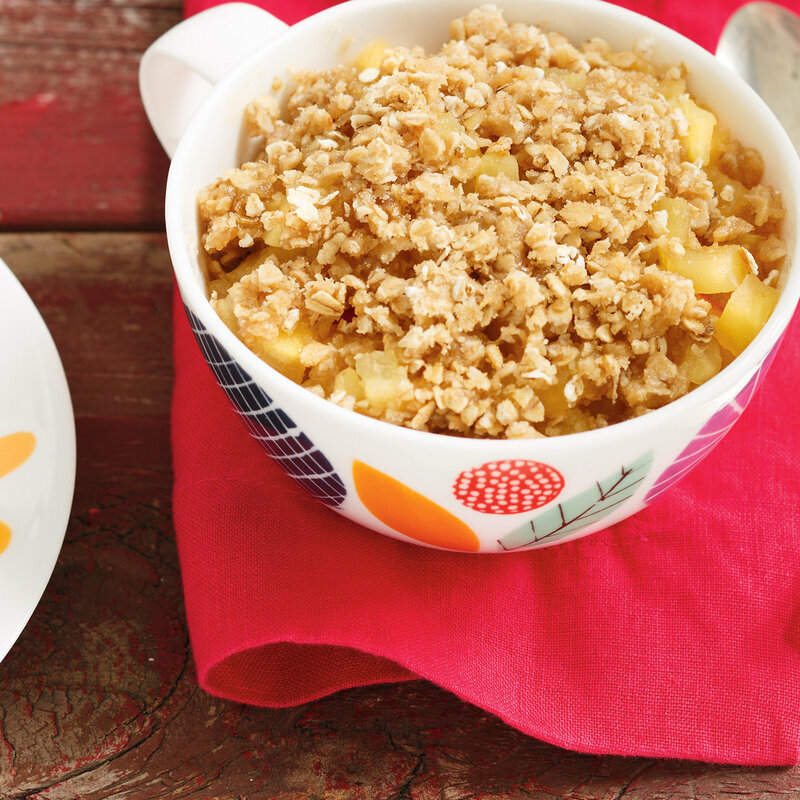 It is important to choose quick-cooking oats for this recipe.